Ahhh…..that new gun chat smell. Speer Ammunition adds to its ammo inventory launching the 10mm Auto 200-grain personal defense load. The “power-packed” 10mm load was created for optimal self-defense performance. 10mm is the caliber of the next pistol on my wish list, what a coincidence! Have waffled on a 10mm for a couple months now...played with an STI 2011 in 10mm at my local gun shop range and very tempted. For the money though, gonna try some .45 Super/.450SMC after a couple mods to one of my 1911s, or maybe my G21 with a heavier recoil spring since I’m already running a barrel with a fully supported chamber (Stormlake). Anyone else here running .45 Super...thoughts vs. 10mm? Last edited by 91Eunozs on Wed Aug 22, 2018 7:31 pm, edited 1 time in total. "AC-Unity is a firearms and accessories manufacturing company located in Bosnia and Herzegovina. They have recently started exporting new quad stack 60-round 7.62x39mm AK magazines to the USA. This company and its products are mostly unknown to the American gun community that’s why I decided to do a little research to find out who they are and what they make. 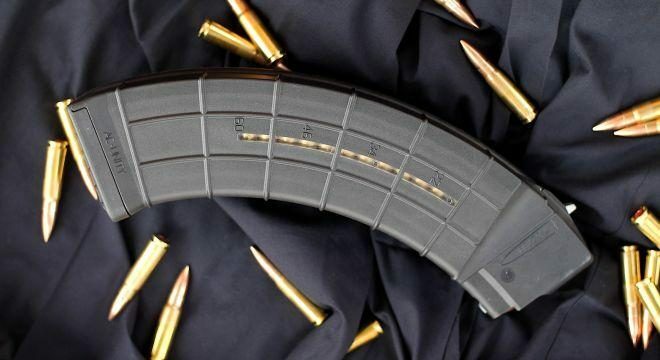 According to the company, years of experience in the polymer materials industry allowed them to formulate a new, impact resistant polymer which is used in these 60-round magazines. The material is said to perform well under extreme environmental conditions and temperatures: from -40°F to 176°F (-40°C to +80°C). These magazines feature metal-reinforced front and rear locking lugs as well as a mechanism that allows holding the bolt carrier group back when the last round is fired. There are also windows on either side of the magazine with markings (22, 34, 46 and 60) showing the amount of loaded/left ammunition. The empty weight of the AC-Unity magazine is 12.35 oz." I actually just got an email from Classic Firearms about those AK mags. They look neat and kind of remind of those Surefire 60 round AR mags. An interesting discussion with links to gel tests about 10mm. chills1994 wrote: I am a sucker for reading gun periodicals. So I picked up the Book of the AK47 tonight while at the grocery store. It is a subsonic round and Wolf ammo is starting to import it. Could be a game chang-a... especially for you folks in states that allow suppressors. Maybe the next .300 Blackout??? Some manufacturers are making AR bolts, and barrels for it. 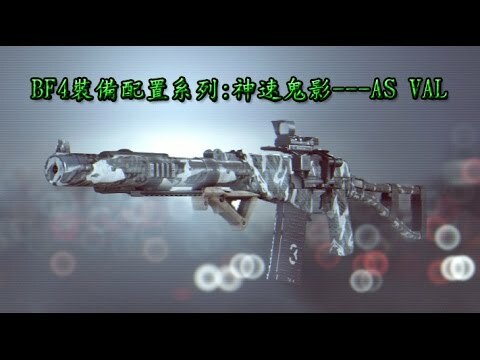 It was called the AS VAL in BF4, very deadly and quiet weapon. Makes it real with a pic. It seems like 10mm users could really benefit by careful load selection of factory loads or hand loading. The ammo companies haven’t put nearly as much effort into improving 10mm over the years. A lot of today’s 10mm factory loads actually use the same bullets with the same velocities as .40 S&W loads. But that’s not always the case. Applies with the hardcast hunting loads as well, although to a lesser extent. A buddy of mine recently bought a Super Redhawk 10mm for anti-hog work. I went and looked up some of the factory hardcast loads. All of those velocities were from a 5" barrel, so they'd probably get a slight boost from the 6" Super Redhawk barrel. I ain't running none of those through my Delta Elite. If you want one that is more than enough reason to buy one, but I have never understood the need for 10mm in a revolver. Between the .357, .41 and .44 magnum there seems to be a lot of choices for revolvers. IMO the 10MM is a great outdoor caliber for semi-autos. Granted that is personal preference and nothing more. The Ruger Super Redhawk is a great revolver platform for building a 10mm "magnum" round. The Buffalo Bore 220 gr is approaching the lower end of the .44 magnum rounds. I have had great success with the BB heavy 180 gr in .357 magnum in a Rossi model 92 trapper. The velocity out of a 16 inch barrel is amazing and it works every time on the hogs in my AO. Now, I know nothing about Lee Armory or their quality. But $700 for a mostly assembled AK? That you have to install the trigger (parts included), stock, pistol grip, and handguard (all not included). Now, you can probably find some ComBloc take-offs being sold by someone who turned his WASR into a MagPul catalog for pretty cheap, maybe less than $50. But still, I can put together a PSA AR-15 M4gery for less than $400. Anymore I'd say the advantage of the AK is you can buy .30 cal ammo cheap and you have a steel based gun rather than an aluminum based gun. Which some see as a hindrance, rather than a boon. The AK does also seem to run better while dirty than the AR. Lots of people dispute that, though, and there are interesting examples all around. Yeah, there is less practical reason to get an AK any more. My understanding is the 7.62x39 ARs are not quite fighting-rifle quality. At least the sub-$500 ones are not. So an AK gives you the chance to stack and fling cheap .30 cal ammo in a fighting-rifle quality setup. If you buy a quality gun. Just my sad opinion. I do love me some Commie guns. I'd like to have more reasons to justify my choices. Commrad. I do love me some Commie guns. You pull the trigger, they go bang. Ya can't argue with that. LOL. Except during mud tests. "Walmart is cutting their prices on firearms all across the country and placing them on clearance. Weatherby Vanguards Rifles are going for $249.00. Ruger Mini-14s are priced at $399.00. You can get a Savage Axis rifles with scope for $199.00. The Ruger 10/22 Takedowns are priced low at an incredible $124.00, and there are more like this. Is this a pre-hunting season deal-a-thon or is Walmart liquidating inventory, perhaps getting out of the firearms business?" Well, my little corner of Virginia has once again been made safe from menacing looking paper targets. Many rounds were sent downrange and the targets did not stand a chance. I even managed a 1 MOA 5 shot group with my buddy's M1 Carbine and iron sights at 50 yards. I also did a few similar groups at that same range with my 10/22 and my Savage 93 bolt action .22 WMR. Did have one weirdness though. Shooting 40 or 45 grain rounds with about 1800fps muzzle velocity I managed dead on 50 cent sized groups without any issue. Switch to 30 grain 2000fps rounds and they all went 2-3" to the right at the same range. Didn't matter what brand, Winchester, CCI, Federal, Hornady, if it was a 30 grain bullet it went 2-3" to the right and the groups opened up. Obviously, the cause has to be the rifling twist rate but I've never seen it happen with this rifle before. These were all partial boxes I'd previously opened and fired rounds from to see if there was a brand the rifle preferred (no preference but it hates Winchester) and which had previously been on target but with varying grouping. I really need to check out the local Walmart to see if they have any of those deals going. If so, I might try to snag one of those 10/22 take downs if I have some free cash. And I'd love to get a Mini-14 for 400 bucks, but I can almost guarantee if any of the Walmarts out here have any at that price, they're already gone by now. Ya a mini 14 at $400 would be worth it...not the usually $700. Tooo bad no walmarts in this state carry firearms anymore. Surprised they still carry ammo. The website luckygunner.com just posted results from 357 Sig gel tests. The results are here and are interesting. Regarding the sales at Walmart, I mentioned this to my oldest sister and it sounds like there may be a Ruger 10/22 take down in my future as a birthday gift from her. Now I just hope the Walmarts near me still have some by the time I can stop by again.